2017 National High School Rodeo’s All Round Cowboy and the youngest of the famed Wright family rodeo tree, Stetson Dell Wright accepts the invitation and is set to make his first appearance at the Tuff Hedeman Bull Riding Tour this weekend at the South Point Tuff Hedeman Challenge in Fort Worth. FORT WORTH - With more total qualified rides in its two-hour performance, more 90 point rides, and the utmost non-restrictive tour for riders and bulls in the industry, the 2019 Tuff Hedeman Tour returns home this weekend offering fans a big chance to see the superstars and future stars of the bull riding industry. Each bull riding story is incomplete without the gladiator style bull riders that magically connect you to all the stories of trophy buckles and triumphs that came before and after the first Tuff Hedeman Challenge bull riding only in 1993. Nicknamed the pioneer of the sport of bull riding, four-time World Champion and Pro Rodeo Hall of Famer Tuff Hedeman announced today his roster for the annual Fort Worth Challenge bull riding. 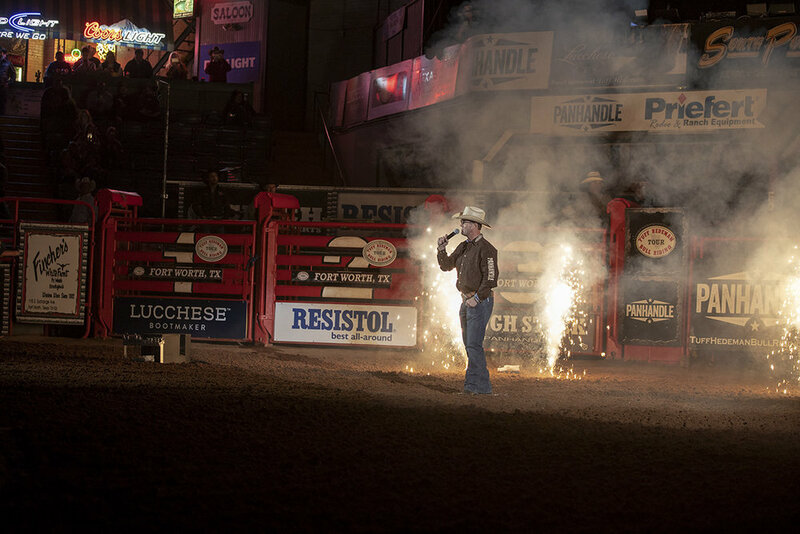 “This event is like coming home for me,” - Tuff Hedeman. The Tuff Hedeman Fort Worth Challenge is the birthplace of stand-alone bull riding and is in its 27th consecutive year. With a frenzy of cowboys standing in line to be invited to contend on the invitation-only tour, Hedeman’s roster includes cowboys from nine states. The following bull riders will compete for the $30,000 prize package and a bonus of $2,000 if they are wearing Rock and Roll Denim jeans: Pro Rodeo all-around superstar Stetson Wright, bull riding brothers Sage and Trey Kimzey, National Finals Rodeo qualifiers (NFR) and top-ranked PRCA bull riders Eli Vastbinder, Boudreaux Campbell, Roscoe Jarboe, Jeff Askey, JT Moore, Dustin Bouquet, Koby Radley, Clayton Sellers, Parker McCown, Brody Year, and Cole Melancon, Parker McCown, Foster McCraw, Brett Custer, son of World Champion Cody Custer, Stephenville’s Tyler Taylor, Lane Nobles, Matt Palmer, Bayle Worden, Juan Alonzo, George Talavera, Trey Holston, Johnathan Brown, Cole Skender, Laramie Craigen, Lane Toon, McCoy Moody. The 2019 THBRT season has seen bull ridings brightest on top winning titles and purses of $30,000 at each stop and Hobbs paid out just under $60,000. Texas bull riders won 3 titles thus far, JT Moore, Alvin, Cody Rostockyi, Lorena, and Boudreaux Campbell, Crockett with Roscoe Jarboe, Plymouth, Idaho capturing the Bossier title. 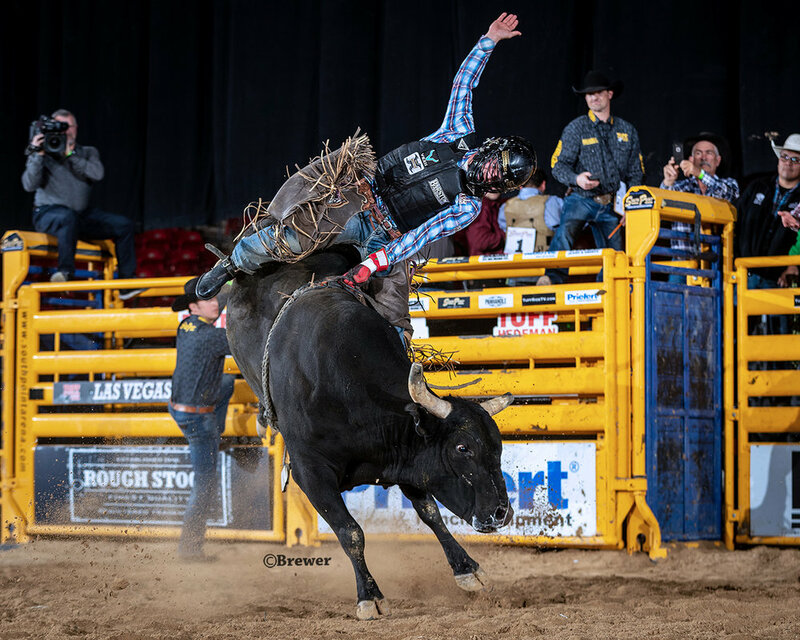 Crockett, Texas bull rider phenom Boudreaux Campbell, the most recent THBRT Champion from Las Vegas, will be in Fort Worth trying to win the coveted Fort Worth buckle and title. With a frenzy of cowboys standing in line to be invited to each event, Hedeman continually produces a solid roster of bull riders in addition to Kimzey and 11 NFR qualifiers. These cowboys cruise the nation’s highways for three months, but in April - all roads lead to Fort Worth, the original site of the first “bull-riding only” event produced by Tuff Hedeman in 1993. 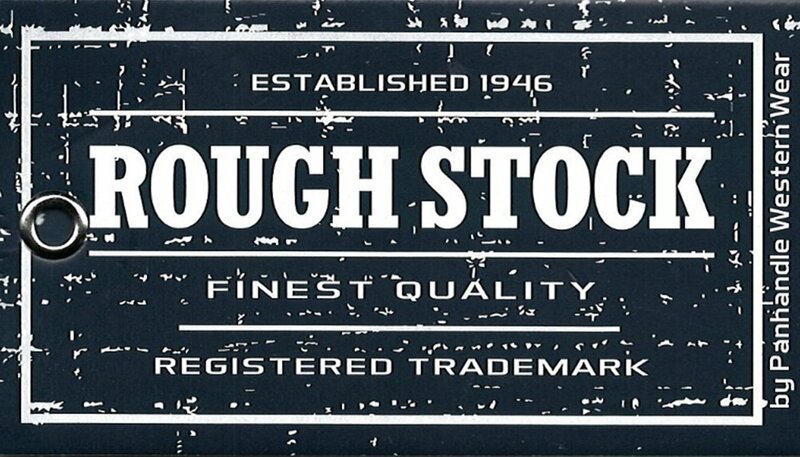 These eight-second stories have been created on the same dirt for 27 years at the Fort Worth Stockyards Coliseum. Housing an arsenal of World Champions, top-ranked cowboys, and the Tuff Hedeman Bull Team Challenge stock contractors, Hedeman’s tour returns to its home at the Cowtown Coliseum after stops in New Mexico, Las Vegas, Louisiana, and El Paso. Fort Worth is ready to get Saturday night underway with a roster of World Champions and National Finals Rodeo qualifiers. Five-time World Champion Sage Steele Kimzey set to challenge the “invitation only” 32-man field of contenders. The THBRT features the unique three-round tournament-style format that allows fans to fully enjoy and appreciate these fearless modern day gladiators who are dared to ride up to three bulls in one night. Fans will be entertained with not only high-quality athletic performances from both the riders and the industry's best bucking bulls as sixteen bull teams will be competing for but will also be treated this year to Pro Rodeo’s entertainer of the year – Cody Sosebee. Speaking of superstars, we can't forget the "other side of the ride," the four-legged bovine athletes that are more than half of the production and who have their own fan base cheering them. Before the action begins on the chutes, the 6 and under category of the Twisted J Stick Bull riding gets underway with buckles and prizes for the finalists. The intermission is packed with the future stars, the Cripple Creek Challenge Junior riders. The event is once again a showcase showdown of the best bull riding talent of the season presented during the South Point Challenge presented by Rock and Roll Denim, April 6 in Fort Worth at the Stockyards Cowtown Coliseum at 8 pm. Ticket prices begin at $35 and are available at the Stockyards Coliseum box office and Ticket Link. Doors open at 6:30 pm.